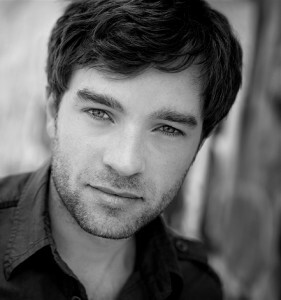 Hadley Fraser is a very popular and incredibly talented young actor. He trained at the Royal Academy of Music and was made an Associate in 2011. Hadley made his West End debut as Marius in Les Miserables, played Grantaire in the Les Miserables 25th Anniversary Concert at the 02 Arena in 2010 and has returned to this long-running West End musical, this time starring as Javert. Other theatre credits include Assassins, The Far Pavilions, The Shaughraun, Pacific Overtures, The Fantasticks as well as The Pirate Queen (Broadway). Hadley appeared as Raoul in the 25th Anniversary staging of The Phantom of the Opera at the Royal Albert Hall, alongside his friend Ramin Karimloo who played the Phantom. The two actors also write and perform music together; their band is called Sheytoons. Hadley will finish in Les Miserables in June so make sure you catch him and his brilliant portrayal of Javert before he leaves! Hadley has kindly taken some time out from his hectic schedule and answered some questions about himself and his career. Enjoy this fantastic interview! When did you first realise that you wanted to sing and act? It was all relatively by accident to be honest. My parents, I think, were always keen for my brother and I to explore lots of different hobbies and activities as children. Music and singing lessons were one of those, and I suppose I followed that course by default (albeit with massive enjoyment). It wasn’t until university that I really thought about trying it professionally. Have you got any role models? A few, yes, from all walks of life. Musically I admire a great range of people – from Kurt Elling to Darrell Scott to Maurice Durufle. Actors I admire tend to be those who bob along slightly unseen but massively appreciated by those around them; such as Iain Glen and Denis O’Hare. I adore cycling too, and have huge admiration for any professional cyclist; the demands of that particular sport are unlike any other – the discipline and strength (both physical and mental) necessary to complete just a single day’s racing is inspiring. I have read somewhere that you actually wanted to become a journalist. What made you change your mind? You trained at the Royal Academy of Music. Please tell us about your time there. The Royal Academy Musical Theatre course suited me terrifically well. The concentration on vocal technique and acting through song was very useful to me. 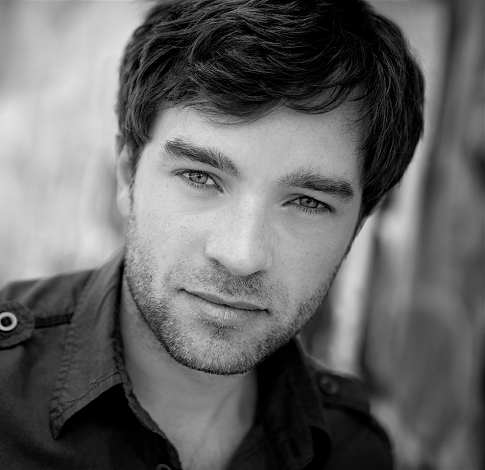 In 2002, you made your West End debut in Les Misérables playing Marius. What are your memories of that time? I have to admit, I didn’t really know what to expect. I left the Academy early to start rehearsals, so I was still very naïve and wide-eyed. I learnt a great deal from my first year in the business – what to do and what not to do. Fundamentally I think it reinforced the feeling I had harboured about wanting to make a go of the profession. In 2006, you originated the role of Tiernan in the Broadway production of The Pirate Queen. Please share a memory or two! I arrived in New York a couple of days before rehearsals started, and was so excited I couldn’t really sleep. I didn’t seem to feel any jet-lag; just felt apprehension and excitement in equal measure. The first morning I woke up as a New Yorker my eyes opened about 4am and I couldn’t get back to sleep. So I walked from where I was staying right through the heart of Manhattan, and eventually came out on the Hudson River. From there (I think I was the only person on board), I took a boat trip right the way round the island thinking to myself “well, this is it, this is where you’re going to be!” I couldn’t believe it, and still couldn’t really when we opened. Obviously the show didn’t go as well as planned, but I would repeat the experience again at the drop of a hat. How does Broadway, where you spent a couple of years, compare to the West End? There are similarities and differences. There is perhaps more of an appreciation of musical theatre as an advanced art form in New York (where theatre stars can still sell out a run, and are household names in the city). I think we’re guilty of compounding the issue here in the UK somewhat, and patronising audiences a little. Sondheim alone is living proof that musical theatre can be complex and challenging. That’s not to disparage London, Sondheim’s work is fully appreciated here – but our capital occasionally feels like a slightly stern older brother, incapable of loosening up and broadening his views. Perhaps he’s beginning to change his mind about musical theatre though, I don’t know – something like LONDON ROAD at the NT might be proof of that. I have experienced equally extraordinary nights at the theatre in both cities. How have you changed as an actor/singer since you led Pirate Queen? What have learned along the way? Well firstly I have to correct you and state that Stephanie J. Block led THE PIRATE QUEEN. I was overjoyed to be her second-in-command. I think I learnt a lot over the years – the most significant learning curve was the two years I spent in LA. After PQ, I decided to have a little break from the theatre, and head down to California to try my luck. That was a different world, and the routine of screentests and camera classes broadened my focus as an actor, and (I hope) refined my skills a great deal. You have returned to Les Mis and are currently playing the demanding role of Javert. Personally, I think he is one of the most tragic characters in the musical – although a lot of people might not perceive him that way. How would you describe your Javert? Tricky question really. Everyone who knows the show or the novel feels an immense kinship with the characters, and believes that they understand them. And each person who does is absolutely right, even if their take on the character fundamentally disagrees with the next person. For me, Javert represents all that Valjean isn’t. He is unyielding, unforgiving, emotionally brittle, a zealot, and obsessive. Though, and on this point I agree with you, he is human. His journey concludes with such a cataclysmic realisation of what has gone before, that you can’t help but feel some sympathy towards him. What are your favourite songs in Les Mis? I have a soft spot, naturally, for Javert’s suicide – though this may come from my appreciation of how superbly it combines music, narrative and emotional threads all in one fabric. It’s hard to single out any others. They’re all so strong in different ways. A lot of new musicals have had to close early recently because not enough people go and see them. A difficult situation. I know you support new musical writing. In your opinion, what’s the answer (if, indeed, there is one)? I’m not sure, to be frank. I don’t think there is a quick fix to the dilemma. What frustrates me is the notion that there is no good-quality new writing out there. There is, tons of it. The danger of sounding hypocritical here is significant – at the moment I make a living performing in a good show that has had a permanent home in the West End for 25+ years. People still want to see said show, but naturally as someone who cares about new writing and about the health of the industry in the long-term, you’d like to see more new writing being given access to the big houses. Then that becomes a question of risk-taking for those putting their money into these projects, and frankly none of us can tell the other what to do with our money. What about the late 70s, 80s and 90s that saw such a huge explosion of original material making it on to the West End stage? A lot of factors had to come together to facilitate it. I’m sure it’ll come around again. And then, on the other hand, there are shows like Les Mis – a musical about the Paris Uprising of 1832 that has been running for 25 years. Why do you think Les Mis has been such a success? It’s a quality piece of theatre, full-stop. At the time, it was forward-thinking (despite being adapted from older source material), and still retains that freshness of story-telling to this day. It has universal appeal, and is exquisitely written and realised. Talking of new writing, you have actually written the book for the brand new production of ‘Houdini the Musical’ – a project that also involves your friend Ramin Karimloo. You are hoping to take the show to the West End at the end of 2012. Is there anything at all you might be able to tell us about this exciting project? Well, it’s been put on the back-burner for now, though not forgotten about. The team all have commitments now that preclude our original plan for the show’s opening. But I don’t think you’ve heard the last of it. In October 2011, you played Raoul in the 25th Anniversary staging of The Phantom of the Opera at the Royal Albert Hall. What was that like for you? A delight, and (without wanting to sound sycophantic) an honour. I know there would have been raised eyebrows at my casting, but, as Kiera Duffy so sagely put it, “I didn’t cast myself”. One is then left with the realisation that you have to do justice to a piece and a character that means a huge amount to a lot of people – but remembering that the reason you were selected in the first places was to made educated and informed acting decisions based upon what you bring to the production and the part. It all happened so quickly that in my memory it’s all a bit of a blur. I was proud to be a part of such a historic occasion, and was welcomed by the extended Phantom family very warmly. My understanding of the character is that Raoul has to be a valid opponent to the Phantom, and a valid choice for Christine. In that way, he doesn’t strike me as a sap (though there is a tenderness and youthfulness to him), rather he is an confident aristocrat trying to wrestle back control of a situation (and control over a woman he thinks he loves) that has spiralled away from him. He is up against another man (I think Raoul knows the “Phantom” is mostly smoke and mirrors); a man who doesn’t seem to be playing by the rules. Let’s just say I worked with David Burt on three separate occasions. That man alone provides enough unexpected moments in one evening, let alone three different productions. I’ve not seen Matilda yet. That’s first on my list when my current contract expires, along with Noises Off. Gutted I won’t catch The Ladykillers before they close. You have also done TV and film work. What has been your favourite role so far and why? I suppose thus far my filming experience has been relatively limited. I’d have to say it’s a large part of my ambition to further and expand that. I’m looking forward very much to being part of the Les Miserables film though. As a Dr Who fan of many years, I just have to ask: what was it like to appear in the programme? What was it like on set? It was a lovely set to be on. I was never a massive Dr Who fan, so again didn’t know quite what to expect. Even though I had a smallish part, I still sporadically get Dr Who fans waiting at stage door with things to sign. Is there anyone you would really like to work with (TV/film/theatre)? I’m proud of pretty much everything I’ve done. In 2003, Ramin Karimloo understudied for you in Les Mis and the two of you have been friends ever since. You formed a band together – please tell us about the Sheytoons. Sheytoons – it all came about when Ramin was asked to write some songs for his album. He called me up to see if I wanted to write with him and I jumped at the chance. Seemed like a great deal of fun. The whole thing really grew from there. I’d like to keep progressing, keep learning. As I’ve mentioned, I’d like to do more screen work, but wouldn’t we all. I enjoy working on new material and challenging myself to write and create. All of these things still remain, and I haven’t fulfilled any of them as much as I’d like thus far. I suppose I feel I still have a way to go, and I’m keen for the opportunity to demonstrate that. I span the genres. I cycle, I cook, I grow things, I read. And then I sit in front of the telly like most of us and pretend I’m a Welsh rugby player, or a mafia boss or Ned Stark for an hour or two. I have to say I’m constantly surprised at the support I receive. I suppose twitter and the growth in social networking have made it easier for people to show and express their support – but nevertheless, for someone like me who can walk quite blissfully down the street without fear of recognition but who works as a performer occasionally in the semi-public eye it’s very flattering and most appreciated when anyone takes the time to write a kind word or two. I’m naturally relatively reticent, but I hope when I can I let people know how much it means. Thank you very much for your time and all the best for your future projects! A really good interview with a guy who is the most kind and thoughtful West End performer,as well as being the most awesome Roy Javert you’ll ever see! Thank you for asking Hadley such interesting questions. Great to read about his earlier life and how it all started. He does seem to provide exceedingly excellent answers in return. A clever person and talented all rounder, musically and acting. Such a delightful interview, thank you! Well thought through questions, and it was lovely to read his responses. I’m a fan from across “The Pond,” and it’s an enormous pleasure to support someone so worthy. Success always, Hadley! … that’s my wish for you. Great interview and thoroughly enjoyed reading it. and that gave more enjoyment to watch the show.